SONET/SDH is a widely deployed, mature enabling technology used in providing high-speed, largescale IP networks. This dependable technology combines high-bandwidth capacity with efficient link utilization, making it a major building block for accommodating a fast growing IP infrastructure both in the core and on the edge. As demand for more bandwidth increases, so does the demand to build out new, state-of-the-art IP infrastructures to achieve greater backbone throughput and faster network response times. 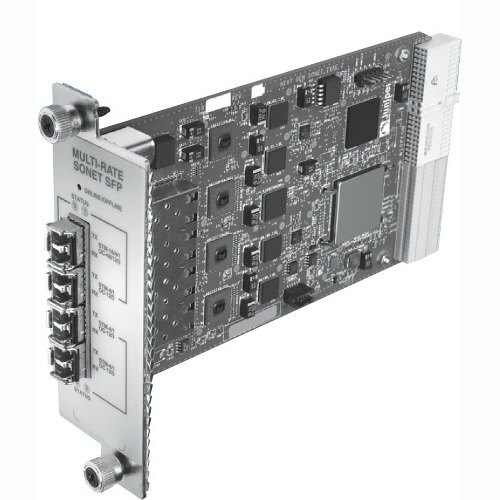 Juniper Networks is at the forefront of IP infrastructure build-out, offering a complete range of SONET/SDH PICs, supporting configurable speeds from OC-3c/STM-1 through OC-48c/STM-16 along with modular optics.